A man whose daily exercise routine takes him near Riverside Park, not far from the Hudson River, called the NYPD on Halloween to report he saw two young women alive, apparently praying at a playground, the morning their bodies were discovered taped together and floating in the river. Calling the witness "credible," NYPD Chief of Detectives Dermot Shea said at a briefing Friday that the man reported seeing the women about 30 feet apart; they appeared to be alone, had their heads lowered and appeared to be praying. The witness told police that image had been "haunting" him. Later that day, a passerby on the bike path saw two bodies in the water, bound together at the waist and fully clothed. That passerby called 911. The women in the water would be identified as 16-year-old Tala Farea and 23-year-old Rotana Farea. The medical examiner's office has yet to rule on a cause or manner death for either sister, but Shea says it seems they went into the water alive. He added that reports they jumped from a bridge were unfounded. 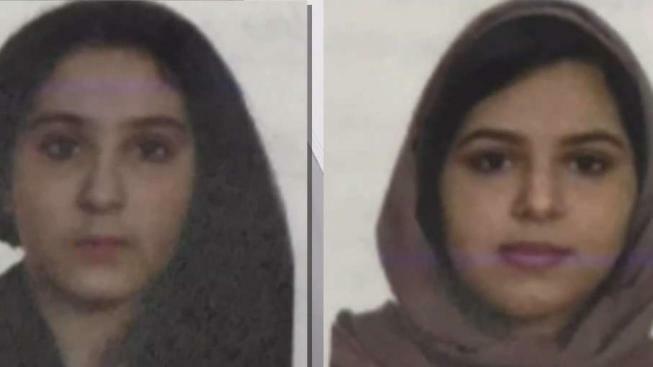 Shea said detectives are looking into reports that the Saudi nationals had recently requested political asylum; cops are also looking into statements the sisters allegedly made saying they would rather die than return to Saudi Arabia. At this point, Shea says, "there is no credible information that any crime took place in New York City, but that's still under investigation." Family members of the sisters say they haven't seen them since Nov. 30, 2017. At some point, that December, they were found and ended up going to some sort of shelter facility, Shea said. They still had no contact with their family, and Shea said there have been abuse allegations involving the mother, father and brother. No abuse has been corroborated, Shea said, and he did not elaborate. From December 2017 to August 2018 there was no real contact with the family, Shea said. Then the sisters vanished from the facility; they were apparently last seen together on Aug. 24. They were reported missing on Sept. 12. They were already in New York City by that time, Shea said, adding they made stops in Washington, D.C., and Philadelphia and took various transit modes to New York. The sisters arrived in the city on Sept. 1. Shea said detectives are still sifting through copious amounts of records to determine what happened once the sisters got to the city. What authorities do know, he said, is that credit card records show they stayed at a number of high-end hotels. Security and surveillance cameras show them in good health up to a week before their bodies were discovered. They had a pattern of ordering meals -- always two meals -- Shea said, "until, at best we can surmise, the money started to run out." The investigation is active and ongoing. A reward of more than $12,000 is being offered for information in the case, Shea said. Anyone who has information is asked to call Crime Stoppers or submit tips anonymously online.